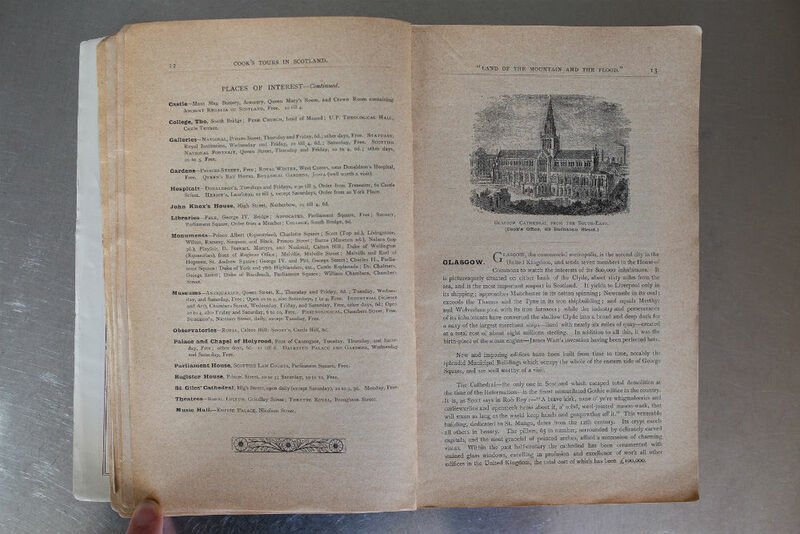 A HOME clear-out in Colorado has turned up a Thomas Cook travel guide to Scotland – published in the year Queen Victoria died. 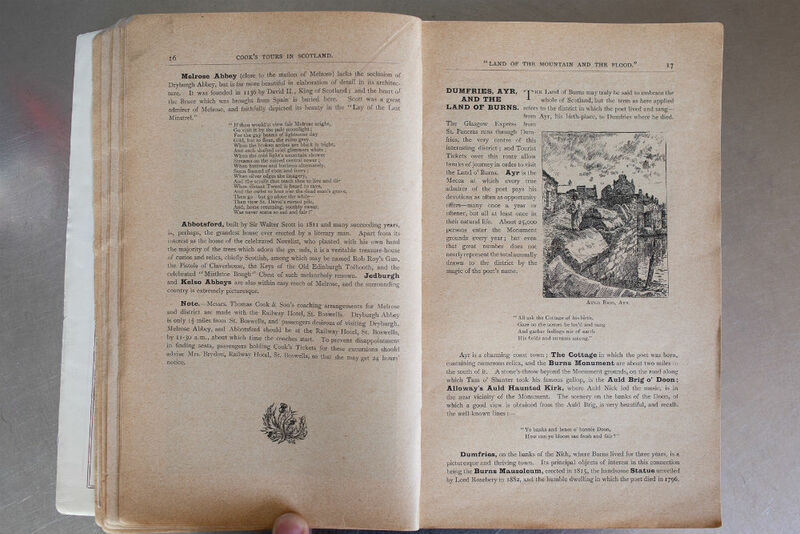 The long-forgotten brochure, published 118 years ago, sheds fascinating light on how Scotland sold itself to the world at the start of the Edwardian age. It says Edinburgh is “surpassed in beauty…only by Constantinople”, Glasgow is the industrious second city of the United Kingdom, and Ben Nevis an easy ascent for “hardy pedestrians”. Loch Ness gets a passing mention but there is not a single reference anywhere in the 1901 publication to the supposedly legendary monster. 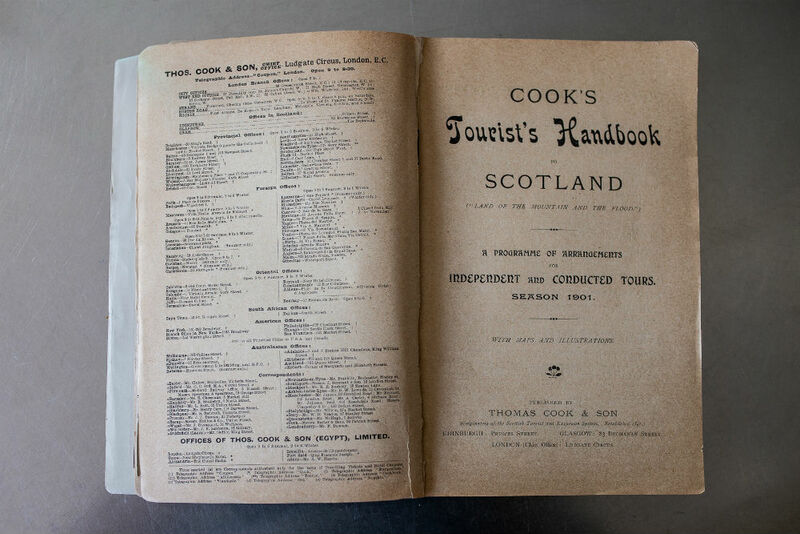 Cook’s Tours in Scotland was published when the grandsons of Thomas Cook were still running the company. 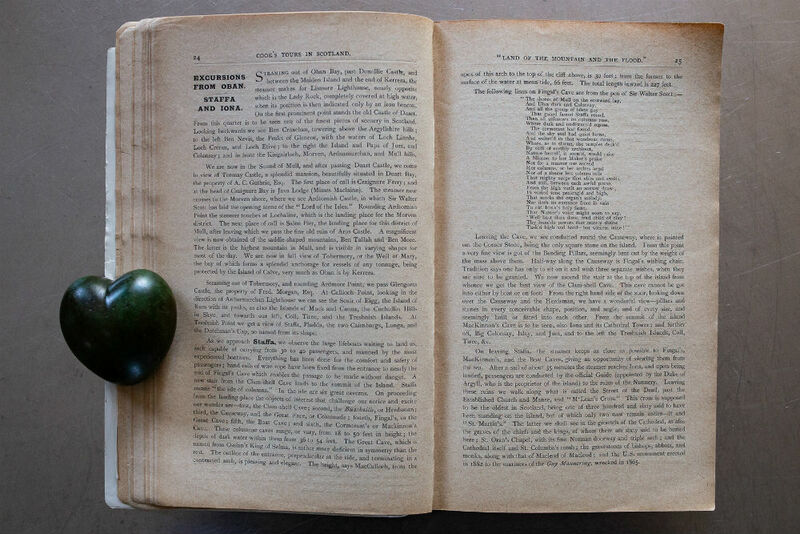 The copy, the only one known to be in existence, turned up last year 4,500 miles away from Scotland in Boulder, Colorado. Relatives of a woman called Eleanor Livingston, who died in 2018, were clearing her home when they found the book. Eleanor is believed to have come from a wealthy family from New York, whose ancestors emigrated from Linlithgow, West Lothian, just a few miles from the new town of Livingston. The brochure is now in the possession of a friend of Eleanor’s, Jennifer Martinez from Thronton, Colorado who was given it by her brother who helped clear Ms Livingston house after she died, and salvaged the brochure. 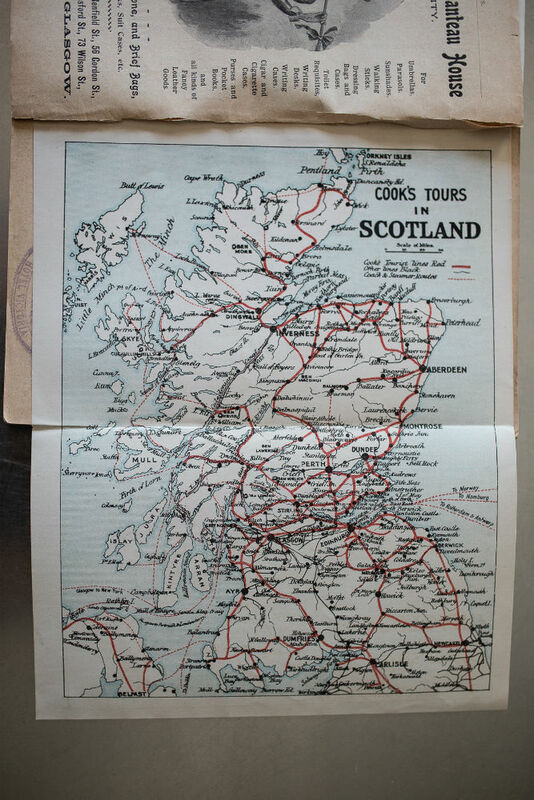 On one page of the guide a fold out map of Scotland highlights the various routes that Thomas Cook operates on their packaged tours as well as highlighting coach and steamer routes. 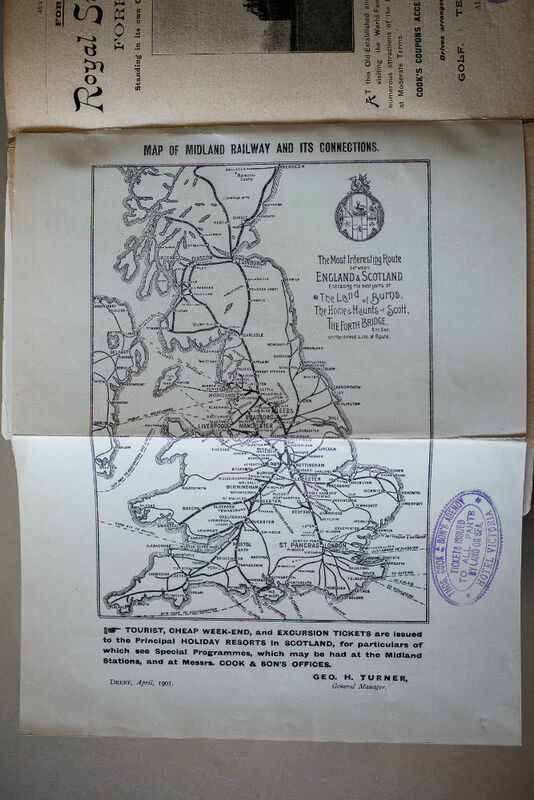 Another map shows rail routes from England and Wales to Scotland in which they have advertised “the most interesting route between England and Scotland. Glasgow, with a population at the time of 800,000, is described as “the second city in the United Kingdom” and focuses on Glasgow’s contribution to industry as well the Glasgow Cathedral and then new municipal buildings in George Square. Aberdeen is described as Scotland’s fourth city and Dundee as Scotland’s third. roles in which have switched over the past century. Ayr is described as a “Mecca” for followers of the “immortal” poet Robbie Burns. Scotland’s physical features are complimented as well with Ben Nevis being described as the “monarch of all our British mountains…and is easily ascended by hardy pedestrians”. Loch Ness too gets a mention as “the last link in the chain, one of the largest freshwater lakes in Scotland, 24 miles in length. The scenery along its shores is magnificent.” However, there is no mention of its most famous resident the Loch Ness Monster of which brings international attention and tourism today. Fingal’s Cave, on Staffa, Inner Hebrides, is also highlighted as a grand tourist destitnation with lines of Sir Walter Scott’s poem about the cave featuring inside the guide. St Andrews is also mentioned as “famous as the scene of many a well-contested golfing match” and for having the oldest university in Scotland. 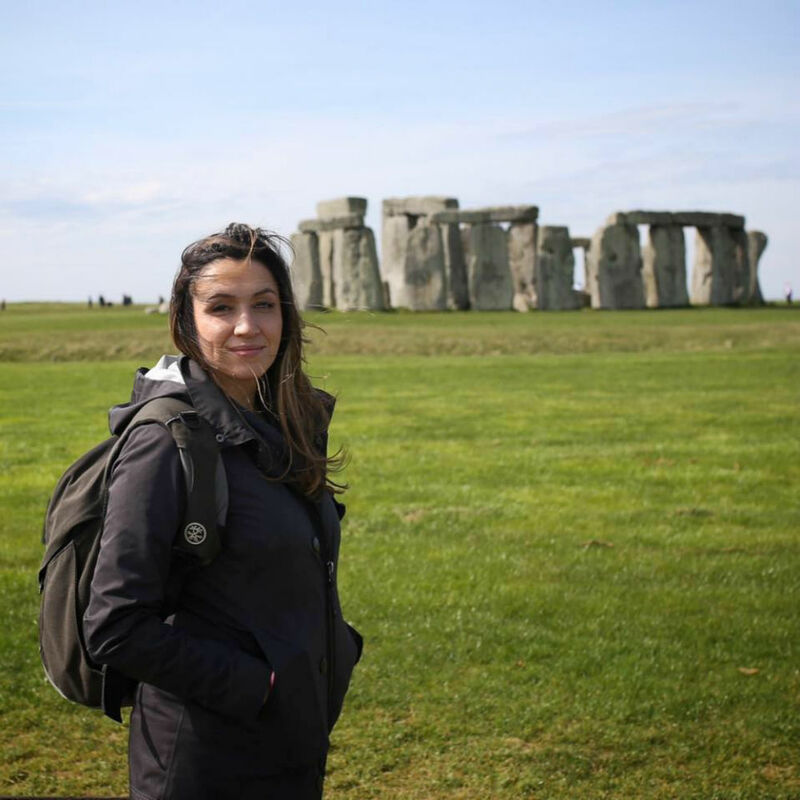 38-year-old photography enthusiast Jennifer said her brother had worked for Eleanor for several years and helped clear out the house for her family in New York. 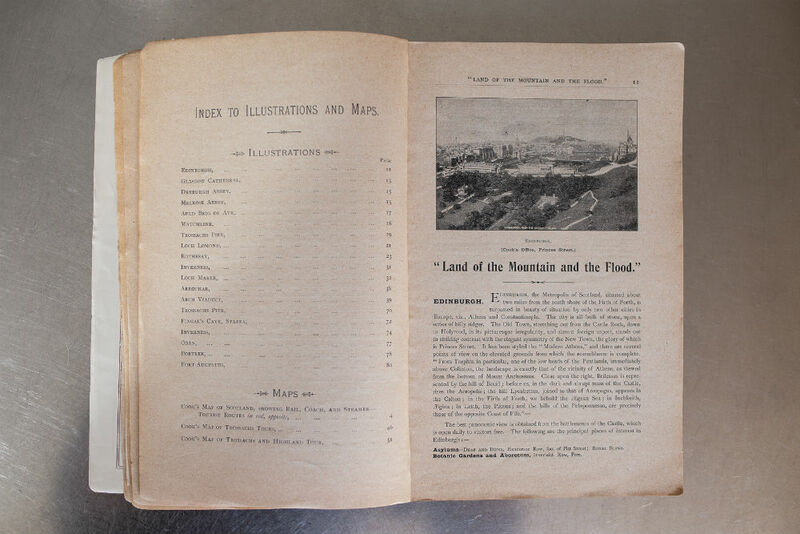 She said: “This travel booklet was one of several booklets owned by Eleanor Livingston who passed away last year. Eleanor’s family (the Livingston family, mostly from New York and the Hudson River area), tasked my brother with packing up and sending some of her belongings to New York, and disposing of other things. “He didn’t think these booklets should be thrown away, so he kept them and gave them to me. “It’s definitely interesting! I wish I knew what part of Scotland her family was from, and I hope that when I go one day, I can visit some of the places in the booklet! Thomas Cook have reiterated the importance their founder has had on its legacy today. 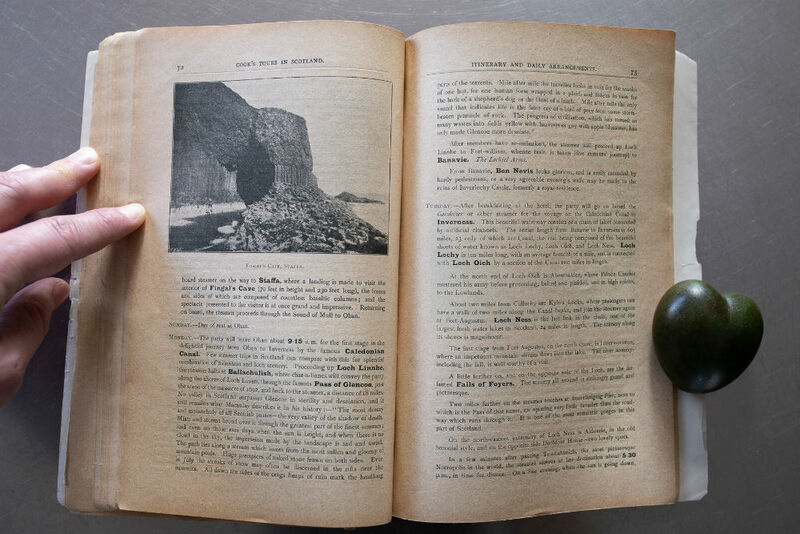 Paul Smith, Thomas Cook’s Archivist said: “We love to see people uncovering items relating back to when our founder, Thomas Cook, started to introduce the nation to the world of travel. 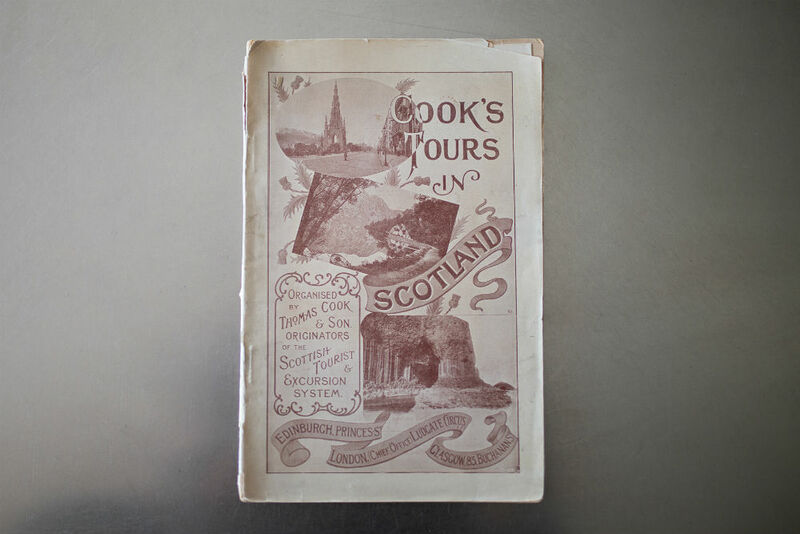 “The first tour he arranged to Scotland was for around 350 people in 1846 and this book from 1901 that Jennifer has found shows just how extensive – and popular – the Scottish tours had become by the start of the twentieth century, when Thomas Cook’s grandsons were running the company. Eleanor Livingston is believed to have been a member the famous American family, the Livingstons. They are believed to have migrated to the U.S. from Scotland in the 17th Century. One member of the aristocratic family is even believed to have signed the United States’ Declaration of Independence.